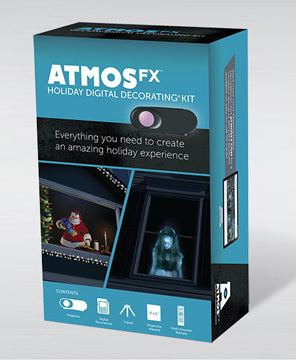 Win the entire AtmosFX Digital Decorations catalog plus the AtmosFX Holiday Digital Decorating Kit. This includes a projector, tripod, remote, projection material and 14 pre-loaded scenes. 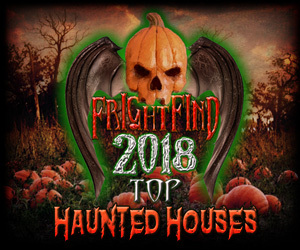 Valued at over $1,000 in digital decorations for both Halloween and Christmas, this is a must have for any home haunter or Halloween enthusiast. Go to Facebook and share, like, or comment on this post. For every action you take, you get an entry. 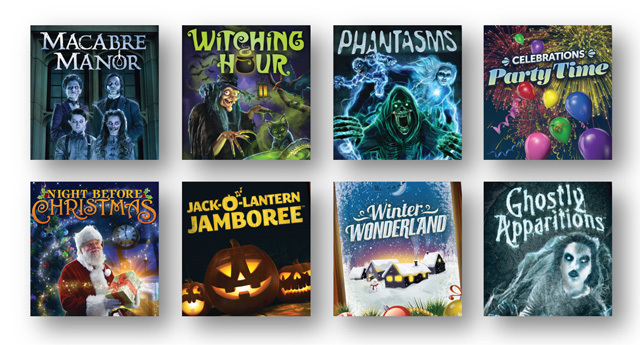 On October 1st, 2016, FrightFind will randomly select and notify the first and second prize winners. 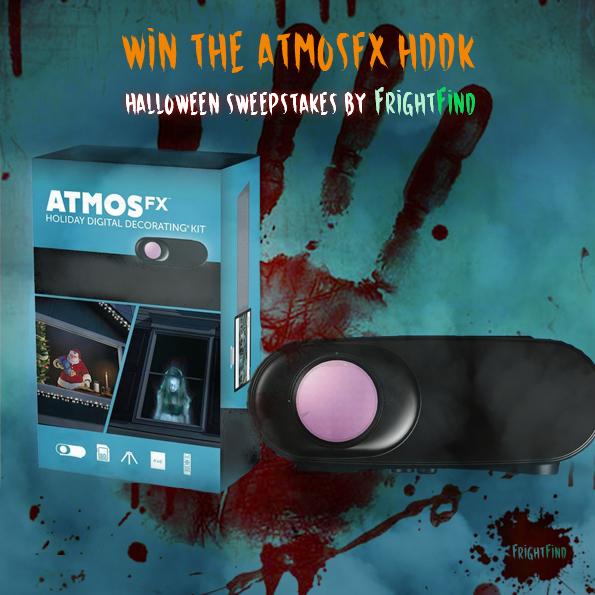 One first prize winner will take home the AtmosFX Holiday Digital Decorating Kit, and the AtmosFEARfx and AtmosCHEERfx digital catalogs. Only 1 first prize will be awarded at random on October 1st, 2016. 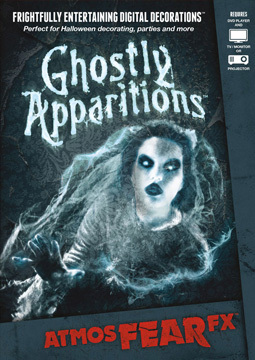 Second prize winners take home a digital download of the Ghostly Apparitions Collection. 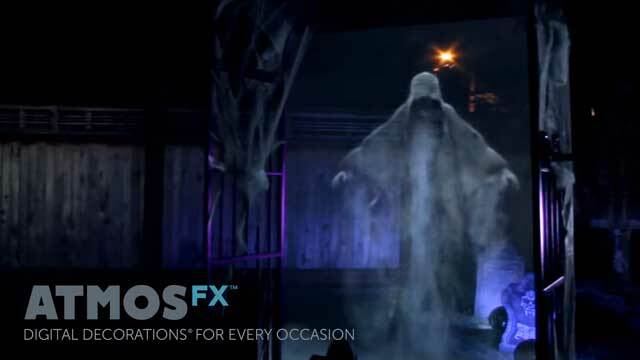 Ghostly Apparitions allows you to create the ultimate ghost hunting experience by providing a collection of restless spirits that are simply dying to inhabit your home. 10 second prize winners will be awarded at random on October 1st, 2016. Prizes will be awarded at random on October 1st, 2016. Read the full FrightFind Just In Time For Halloween Terms and Conditions. For more information on AtmosFX and their products check out AtmosFX.com and their Tips and Tricks section. I have two projectors LOVE love love it and we got 4 of the DVDs not knowing you need a DVD player to use them with the projector, can’t copy on to a SD card or do I have a dvd player to use out side to use in our haunt. HELP!!!! Yay!! Perfect kickoff to the season! My husband and I were married on Halloween and this would be a perfect 10 year anniversary present! Great prizes that I’d absolutely love to win. Thanks for the chance. too scary for a pre-school? hahahah Halloween is AWESOME! 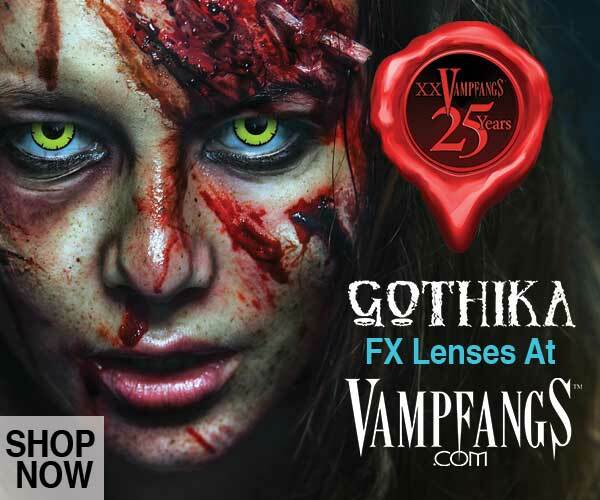 Comes with AtmosCheerFX too! So great for Christmas and not so scary. Love to win, Love Halloween, Thanks for the contest. Love Halloween this is a awesome prize. Very cool, you guys make awesome stuff! 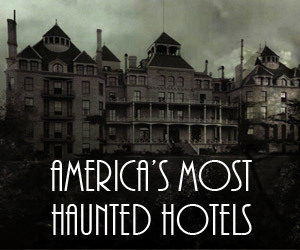 Happy Halloween all you little ghosts and goblins go get the fun! Need this to help in my ministry—-what a handy package! LOVE Halloween! It would be amazing to win this!!! Cool. Fear bling for your house. Really good equipment for Halloween and Christmas! BOO to the Nth power with this prize! YES! I would love this very much! Also, because I never typically post, I’ll use this opportunity to say I love this site. It’s super informative! Good work you guys! MY FAVORITE DECORATING HOLIDAYS!! THESE LOOK AWESOME, LOVE THE IDEA YOU COULD CHANGE IT UP EVERY DAY, NOW THATS THE WAY FOR ME. Would love to have this for our 5 kids to enjoy during the holidays.